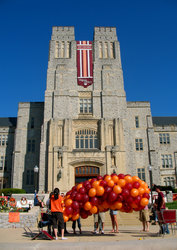 A reflection of the balloon ceremony that was held on the first day of class. 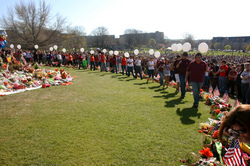 A ceremony held on the first day of class after the tragedy in which balloons were released in remembrance of the 32 victims. 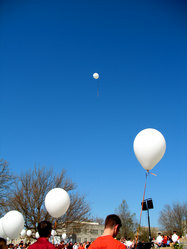 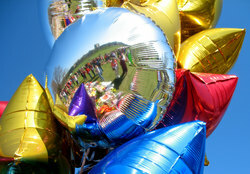 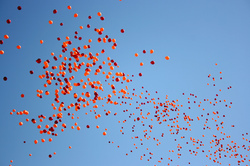 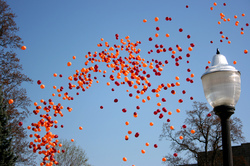 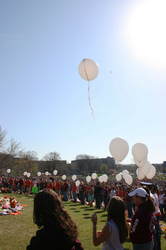 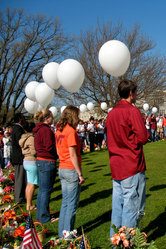 A ceremony held on the first day of class after the tragedy in which balloons were released in remembrance of the victims. 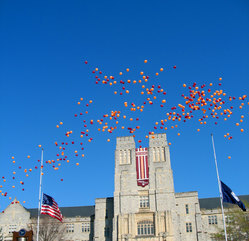 A ceremony held on the first day of class after the tragedy in which one balloon is released for each victim.